There is a lot of chatter these days in the Aikido community (at least in the US) about the declining membership and challenges of recruiting new students for many Aikido dojo. There seem to be at least two lines of thinking for why this is happening. One line is that the younger generation – teens and 20’s – are more interested in the so-called hard martial arts, such as kick boxing, karate and mixed martial arts (MMA). It’s undoubtedly true that Rhonda Rousey of MMA fame has created much more cultural buzz than any Aikido practitioner or teacher out there. The other challenging story line is that Aikido is ineffective as a self-defense system. 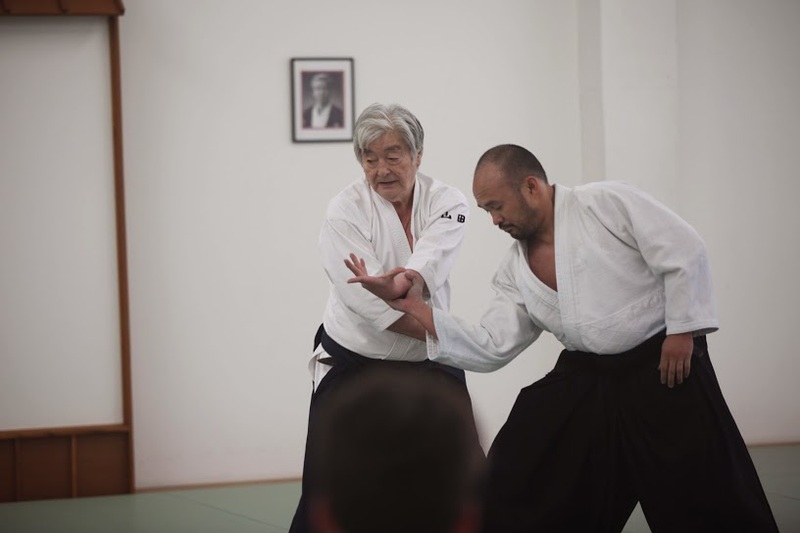 Thus, YouTube has become populated with many videos featuring Aikido vs. this or that other martial art in fighting competition – some pro and others con of Aikido’s effectiveness. And, there are the self-styled, self-defense “experts” who produce videos that directly badmouth Aikido as ineffective in self-defense situations. While all of this hype probably does reduce the percentage of people who would be interested in training in Aikido, it fundamentally misses the point of what Aikido training is about. Aikido is not about fighting; it is about avoiding a fight or, if forced, to end a fight. While it is important for Aikido training to be intense and focused, it is first and foremost about developing the practitioner both physically and mentally so that interpersonal conflicts are handled with confidence and flexibility, not by intimidation or force. Tom Crum, a well-known Northern California Aikidoka in the 1980’s, wrote the book, The Magic of Conflict, in which he discusses the use of Aiki principles in resolving conflict. Principles that we practice in the physical realm in every class, such as moving off the line of attack, blending with the attack, staying centered, ending the conflict without injuring the attacker, are useful in any kind of conflict resolution process. Aikido training also promotes self-confidence, self-control under fire, increased ability to focus, stress management, impulse control, enhanced environmental awareness and other personal qualities that are beneficial in all aspects of life, including in serious and possibly violent conflict. And, this is not even addressing the tremendous benefits of learning how to fall without injury. But for those who remain curious about the efficacy of Aikido technique in the real world of physical conflict, the answer is: It is. One bit of evidence for this contention is that many of the high-end schools of executive protection (EP, i.e., high-end body guard) teach techniques that come from Aikido and other similar arts (e.g., ju-jitsu). Can you imagine an EP professional protecting the Pope beating up an unarmed individual perceived as menacing the Pope in the middle of a parade? No, they would use restraint techniques to quietly subdue and remove the potential attacker from the scene. I am frequently asked if I have used Aikido in the “real world” of self-defense. Fortunately, I don’t have a dramatic story of using Aikido technique to fend off a physical attack. However, I do have a story of how Aikido training probably saved me from serious injury or death. In the mid 1980’s I was attending a professional conference in Kansas City. I had been training in Aikido for probably about 4-5 years at the time. On the way back to the hotel from dinner I was crossing a street at a traffic light crosswalk when a taxi came barreling toward me. I paused and looked at the driver at maybe 20 feet away, but he kept coming, his hood ornament aimed at my center. At that point my mind went blank, except for the dream-like image of me being hurled into the air by the impact from the cab. A moment later I “woke up” to feel the side of the taxi just brush my pant leg as it drove off into the night. Fortunately, I had hopped back just enough to escape being hit without any thought or even realization of what I was doing. In martial art this is called a “no-mind response,” where the training kicks in without thought or even consciousness. Aikido trains us to move off the line of attack; thus I credit this training for saving my life that night.